It isn’t until we find ourselves in someone else’s environment that we are forced to realise that our way of doing things is just one way, not the way. It’s easy to criticise the unfamiliar, from the way someone washes the dishes to the way they run their household. And when you move in with people you weren’t brought up with, their ways will almost certainly be at odds with yours, something which you may not have even considered before. How is all this relevant? Mousse Chocolate (moos cho-ko-let, not moos chok-let), which is what my boyfriend and his family will call this recipe for all eternity, is technically a mistranslation. The name in Portuguese is literally ‘Mousse of Chocolate’. The name has always sounded slightly wrong to me. But ‘Chocolate Mousse’ would sound wrong to my boyfriend’s ears. In addition, ‘Chocolate Mousse’ to his family is something altogether different from what they prepare, something unbelievably creamy which, to a family that abhors cream, makes it unfitting for their beloved concoction of chocolate, eggs and sugar. This was my second try at this recipe. The first time I made it I just couldn’t get the chocolate and egg whites to come together while still maintaining the mousse’s light and fluffy texture. I had a theory that without the pure fat of cream I’ve used in every chocolate mousse I’ve ever made, they just weren’t coming together, and that as such microwaved chocolate was more unforgiving. Then I noticed that many recipes call for a small amount of butter. So I bit the bullet and did the double boiler thing, butter and all. So how was it? Rich? Yes. Creamy? No way. Delicious? Definitely. Mousse Chocolate. 60-80g dark chocolate broken into pieces (I used nestle club but next time I think I’ll use something with a bit more depth of flavour). Beat the egg whites to stiff peaks in a completely clean and dry bowl. Set aside. 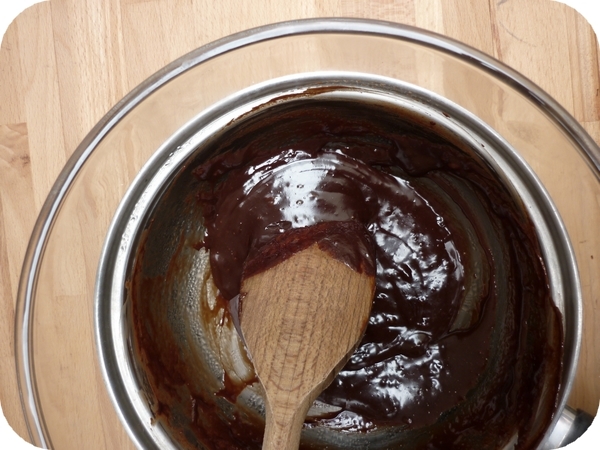 Put chocolate in a bowl over a pan of simmering water. Make sure the water is not touching the bowl, the bowl should just be ‘steamed’. 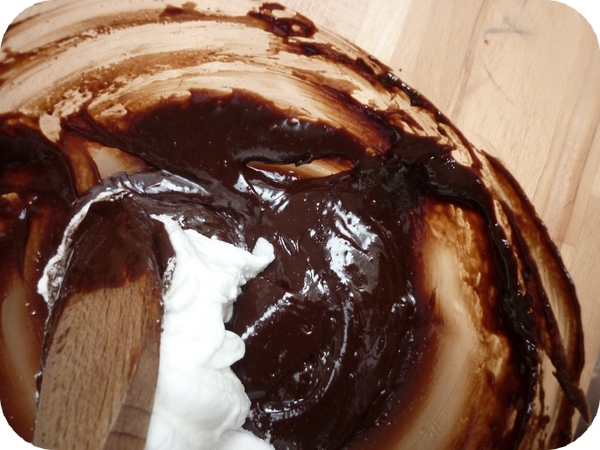 When the chocolate begins to melt, add the butter and sugar if desired. Once melted together, turn off the heat. Stir in egg yolks one at a time, very quickly. Remove the bowl from the pan and fold in a third of the beaten egg whites. Fold in another third gently and then the remaining third even more gently. Put mix in container/s, cover with cling film and set for at least four hours. “It isn’t until we find ourselves in someone else’s environment that we are forced to realise that our way of doing things is just one way, not the way.” That reminded an episode in my life when, being in a friend’s house, I found out that normal people ate avocado with salt. My family has always eaten it mashed and mixed with sugar on bread. I felt like an alien. I still can’t get over the bewildered “You’re having me on” look my uncle gave me when trying to explain how avocado on a sandwich with chicken is the best thing ever when clearly in his world they are for the mashing with sugar. I like avocado on fruit toast, but not with sugar per se. What do you eat the sugared avocado with? ?